Italians Just Know How To Make Em! I have a great relationship with my wife and we love each other very much. However, if I ever had the money to buy this land rocket on 4 wheels - The Bugatti Veyron - I'm not sure she would see much of me. The Italian engineering behind one of the most exotic cars I have ever come across purrs like a kitten and makes every grown man want to jump up and down like a 4 year old screaming - My Turn! My Turn! I've even seen ladies quicker in the presence of this magnificent creation as it stares angrily at what lies before it ready to devour every bit of asphalt it can take. 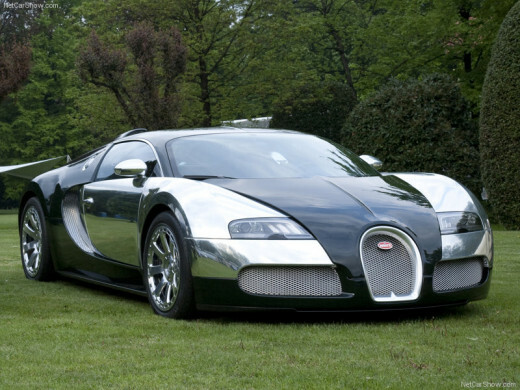 The latest Veyron also known as "W16.4 Power Plant" puts out 8.0 liters and comes equipped with 10 radiators providing cooling for the engine and air conditioner systems. 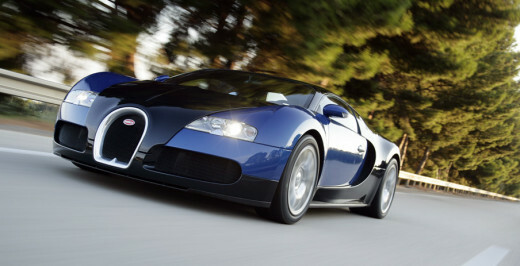 The Veyron uses a 7 speed dual clutch and four wheel drive to grab every bit of the road it can. One of the amazing things about this car is even though it's putting down record 0-60 numbers it weighs in at a hefty 4,160lbs. While the average car may weigh in close to these numbers this is highly unusual for exotic sports cars such as these. Let's say if I ever pulled out my checkbook in front of one these things it would self-combust into a pile of ashes. My credit cards would also probably be a pile plastic goo that solidified my wallet shut. But the opening costs are going to run you a cool $1.6 million and the SuperSports are going to run you anywhere between $2.3 to $2.8 million. If you are wealthy enough to afford these then please see my contact information and have them make my SS in dark blue. Doesn't mean you can drive it. If you are wealthy enough to own one of these cars (seriously contact me..) then don't expect to be driving them anywhere on the public streets in the United States. Due to these cars top speeds and drivers willing to push the limits these works of art are banned. But for me - It's always fun to fantasize! Unless you have access to a track or a lot of land you won't be getting these licensed stateside anytime soon.